This is a FREE webinar for Ontario Curling Club Members. The fifth in a six-part webinar series aimed at providing operational support to staff and volunteers in the community curling club environment. 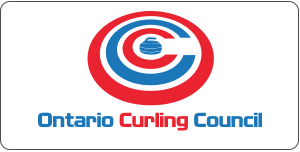 Presented by CurlON’s Business of Curling Program, Ontario club operators receive this instruction from industry leaders FREE as part of CurlON’s business commitment in providing more benefits to our membership. CurlON Member Clubs can learn about responsible end-of-season ice operations and best practices for a safe shutdown, safe removal of ice and preparation for the off-season. Presented by Curling Canada Level 4 Ice Tech Don Powell, this webinar will focus on facility owner responsibilities and compliance with TSSA and Ministry of Labour. The session will cover tips to working in conjunction with refrigeration contractors, practices to implement for the off-season and the importance of planning for next season’s ice needs and beyond! Don Powell is a 3rd generation ice maker and a Level 4 Certified Ice Technician with Curling Canada. 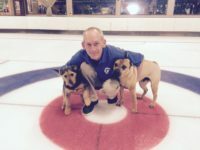 With over 34 years of ice making experience, Don is a Certified Advanced Refrigeration Operator and Lead Course Conductor for Ontario Curling Council’s Ice Technician Program. His long-time involvement in championship ice-making crews includes 11 Canadian Championships, 20 Provincial Championships, 5 Grand Slams and 5 Casino Rama TSN Skins events.